A game of 7 Wonders is divided in 3 ages. 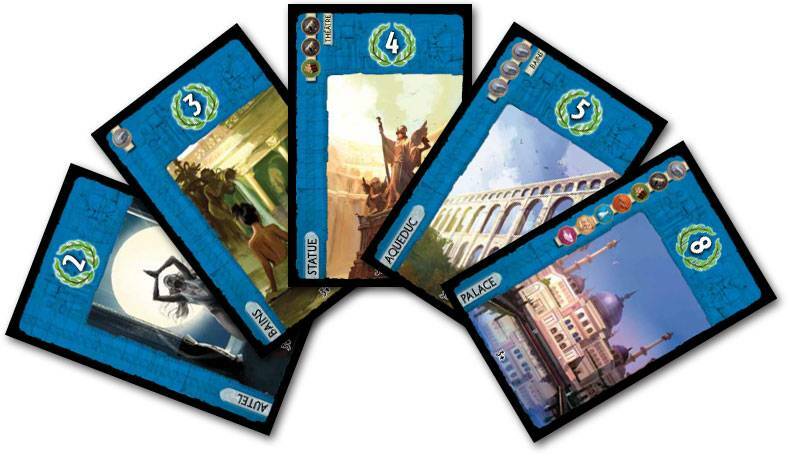 These ages are played similarly, each player is given the opportunity to play 6 cards to develop his city and build his wonder. To play a card, you select one from a hand of cards and you lay it in front of you. Then, you give the remaining cards to the next player and you receive cards from the former player. At the end of each age, each player compares his military strength with the one of their neighbouring cities, players to his right and his left. When the third age is over, players score the points given by their cards and the military conflicts. The winner is the player with the most points. 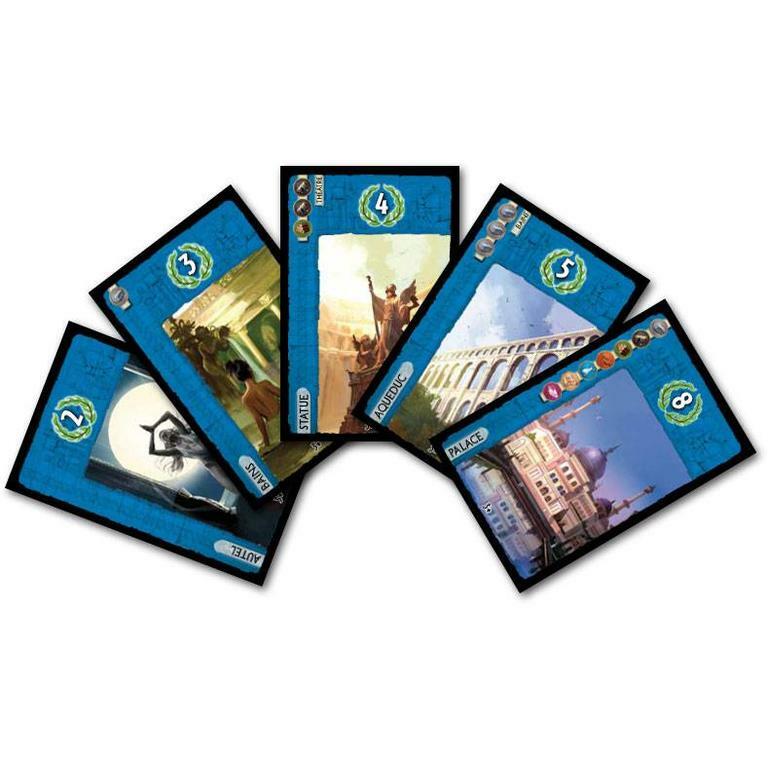 If you require the 157 sleeves needed for the cards in this game, we recommend: Two packs of Mayday Card Sleeves Magnum 7 Wonders Size Clear (100 @ 65x100mm). This will provide the minimum number of sleeves needed to fully sleeve this game. 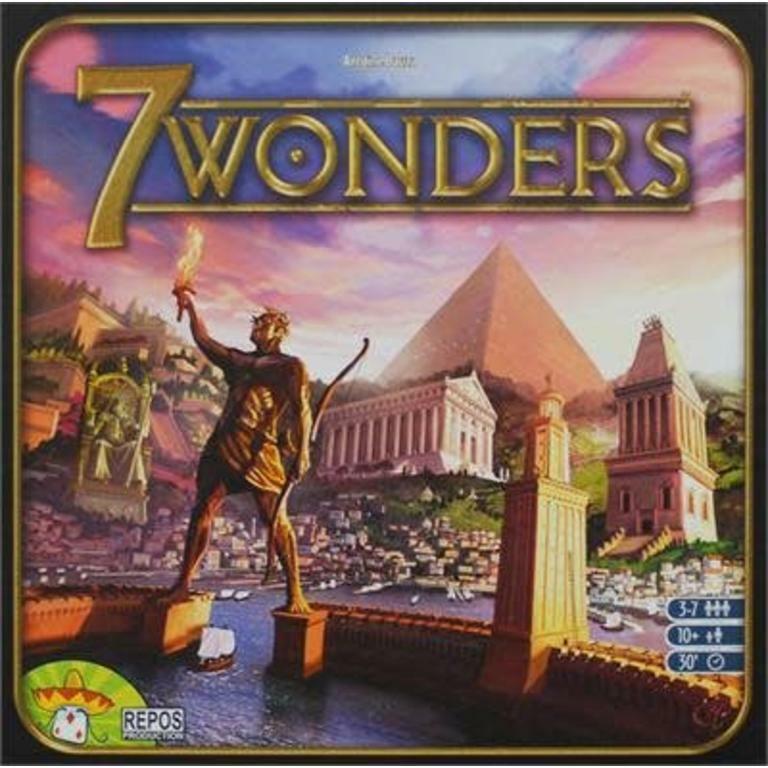 In the 7 Wonders Wonder Pack, players will obtain four new wonders to play with the base game: Stonehenge, Abu Simbel, The Great Wall of China, and a new version of Manneken Pis. All civilizations have turned their gaze to the horizon, where the majestic Tower of Babel is slowly being erected towards the heavens. To celebrate the seven year anniversary of the fantastic release of 7 Wonders from Repos, 7 Wonders: Cities Anniversary Pack Expansion offers no fewer than fifteen new cities to include in your games of 7 Wonders. 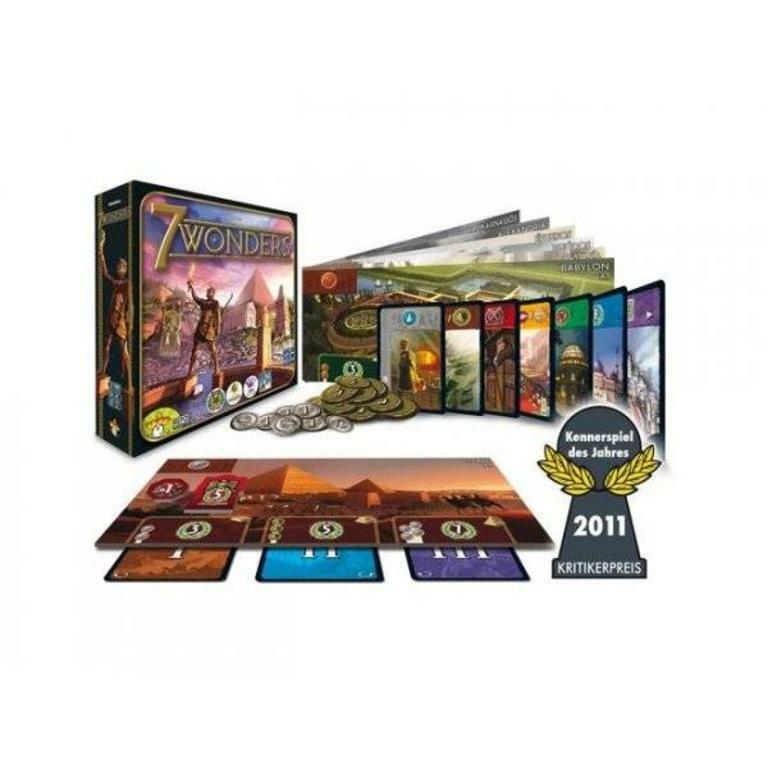 To celebrate the seven year anniversary of the fantastic release of 7 Wonders from Repos, 7 Wonders: Leaders Anniversary Pack Expansion offers no fewer than fifteen new leaders to include in your games of 7 Wonders. 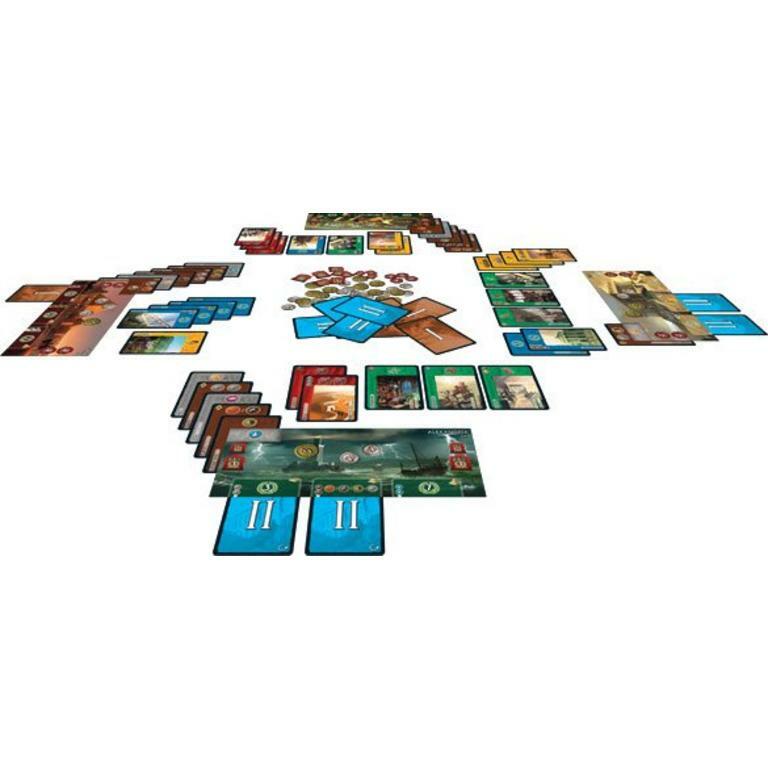 In 7 Wonders, players get hands of cards, pick those that will help them build their City and pass the rest to their neighbor. Leaders introduces in the game notable personalities, who offer various advantages.